I've gotten a slow start to the holiday season. It feels like I'm just now getting into the "Yes, Christmas is imminent" mode. I know according to Target I should have been thinking about Christmas before Halloween, but my brain just doesn't compute Noel-ing until after the turkey day hangover. These geeky Christmas goodies are getting me into the spirit of things. 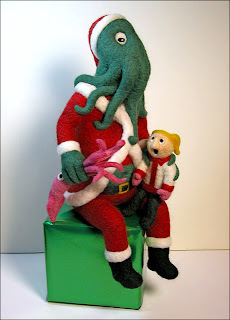 First up, Santa Cthulhu. Needle-felted awesomeness! I always wanted Santa to give me a squid instead of a teddy bear, dolly, or candy cane. Santa Cthulhu #2 by artist Amy L Rawson. 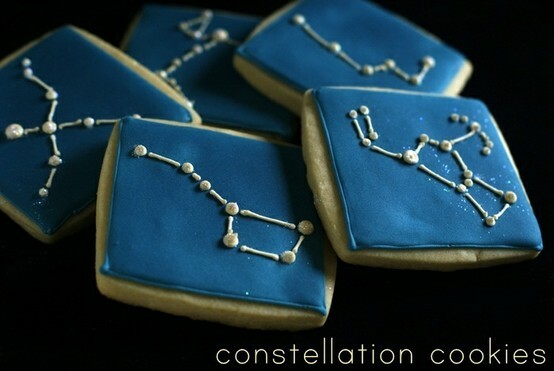 Check out more of her wonderful creations at her site Thirdroar. After you check out the instructions at this very awesome cookie blog, check out their shop. 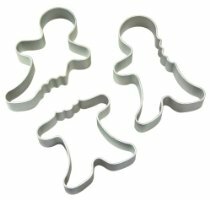 I found some ABC gingerbread men cookie cutters (and I ain't talkin' about the alphabet). Grandma surprised the kiddos with one of these last year. It was so much fun. Within each box is something to build. Put them together and you have a whole scene. After Christmas, the pieces go into the general LEGO collection. 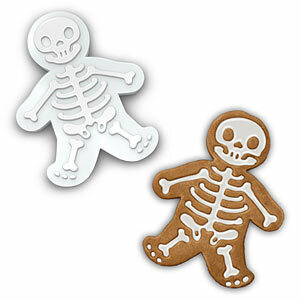 Lasts much longer than chocolate. Coincidence that among the police station, officers and escaped convicts in the City set we also found this fellow ready to take on parasitic aliens? Maybe. At the same time, I can't wait to see what we get this year, with our Star Wars calendar. The kids (of all ages) are having fun with it. 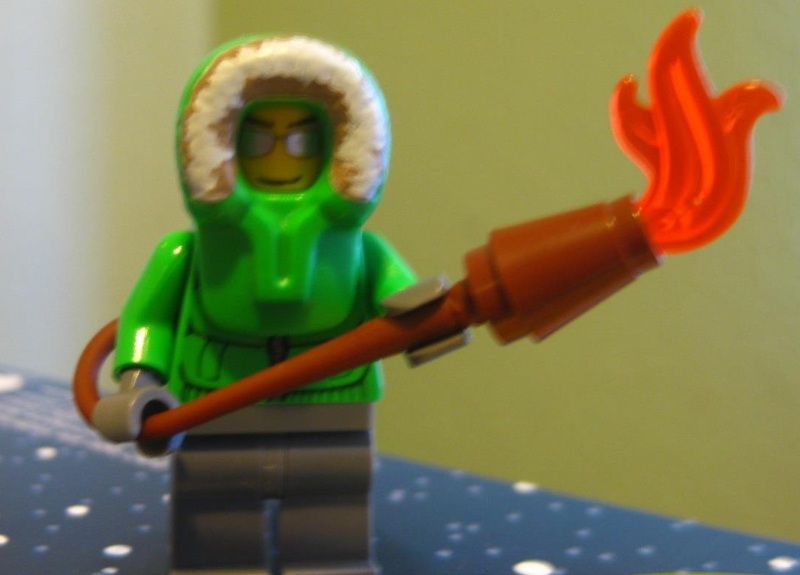 What geeky treasures are inspiring you this year? May your days be geeky and bright!